If you asked a stranger the first thing they thought of when you say 'shark', what do you think they'd say? How many do you think would conjure up the JAWS poster in their mind? This iconic image and legendary tale has been stamped on the public consciousness for more than 30 years, but do you know what author and screenwriter of JAWS Peter Benchley committed the rest of his life to? The images we make in our mind determine how we interact or behave in a certain situation and Benchley realized the impact that his writing had made on the reputation of sharks. He became a staunch shark conservation advocate and spent the rest of his life trying to reverse the hysteria that JAWS had created surrounding sharks. With global shark populations declining at a staggering rate worldwide, it is vital that we change the way we interact with these apex predators. Without sharks to keep fish populations healthy and in-check the whole marine food-web could collapse, devastating the fishing industry and tourism worldwide. SharkFest UK wants to continue the work of Peter Benchley, changing the widespread misconception that sharks are monsters committed to hunting down swimmers and boaters. Through our latest project we hope to rewire the public consciousness so that when they hear the word ‘shark’ they automatically make mind-pictures associated with beauty, respect and absolute vitality to the oceans and to human life. SharkFestUK are running a public competition to enter photos and artwork showing sharks and rays in a positive and educational light, to create a 2018 calendar – vote for your favourite images online and get a new perspective on sharks every month of the year! All profits from this calendar will go towards running the next SharkFest UK event - the UK’s first festival for encouraging collaboration, positivity and active participation in global shark and ray conservation. 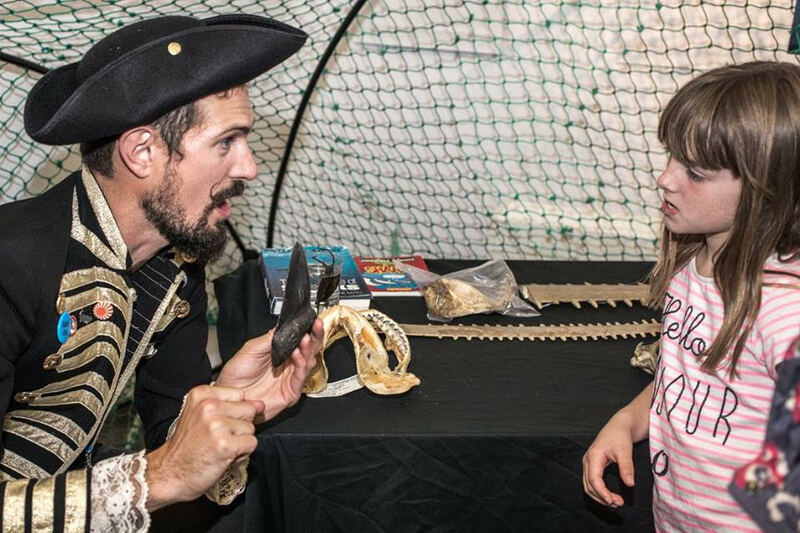 Last year the event completely sold out with talks, movies, educational activities and stands from The Shark Trust, Sharks4Kids, Marine Conservation Society, LaMaVe and more than 20 others. Next year the event will be even bigger and better! If you, your family or friends dabble in marine photography or art let them know about the SharkFest 2017 calendar competition! File size - 300dpi or higher, or you can send us 72dpi for use in the online competition only. Choosing the winner - all entries will be open to a 1 week public vote once the competition closes mid November! Rules: Max 2 entries per person. Send us a <50 word summary to explain who you are / what you do / what the message behind your image is - this will be published alongside your photo if you win!